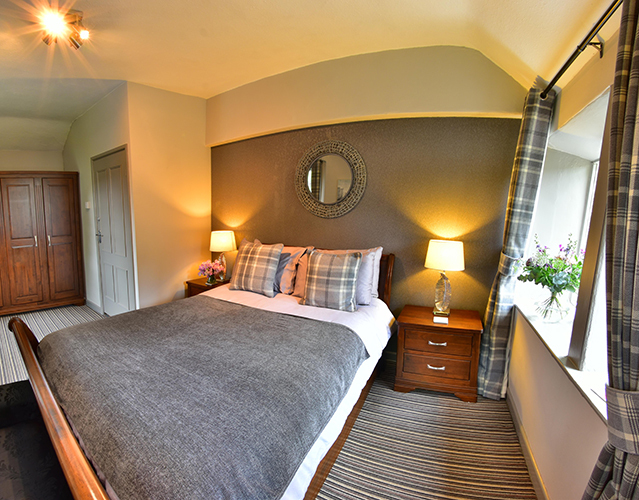 Thinking of booking the perfect Yorkshire experience and staying overnight in one of our boutique or cottage rooms? Here’s how. 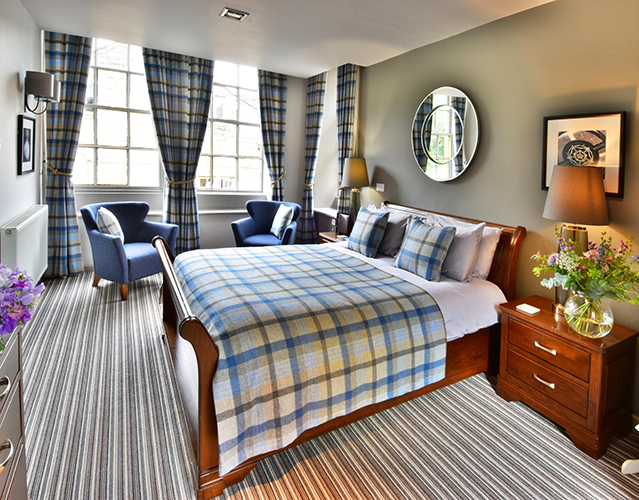 We have ten unique, bespoke en-suite hotel rooms to choose from, all of which boast their own character and quirks. The link provided will detail the features of each room individually and show you the rates and tariffs during your stay. 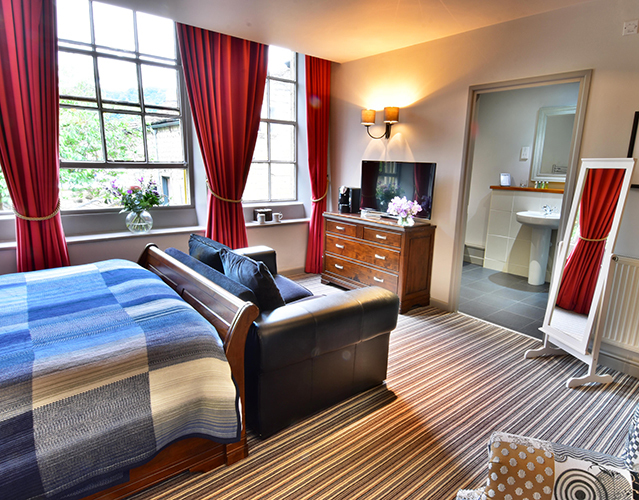 Our rooms offer the perfect base for exploring the beautiful Yorkshire countryside and surrounding heritage sights, discovering the cultural hub that is our beloved Hebden Bridge or just relaxing, unwinding and taking a well-deserved break in truly luxurious surroundings. 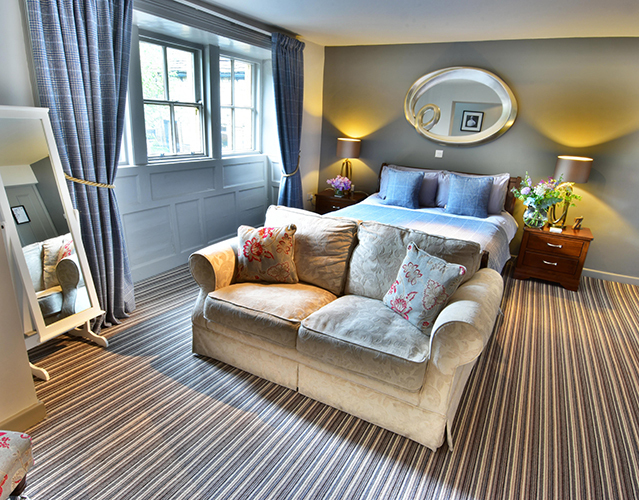 Unwind in your Roll-Top Bath in our boutique rooms, or order a bottle of fizz to enjoy in your courtyard cottage. Follow the link below to book your room directly through us, which will include your bed and breakfast. Thinking of reserving a table in our restaurant or bar area to unwind and enjoy some delicious homemade food? Here’s how. Whether you’re looking to dine in the luxury of our restaurant or the traditional coaching inn bar area, with it’s friendly warm atmosphere and roaring log fires, follow the link below to make a reservation. Food is served all-day, every-day. Booking for a special occasion? Let us know and we’ll make sure you have an experience to remember. All of our food is proudly home-cooked and served to order. Tables of 8 or above are recommended to pre-order their meals with us. Tables of 12 or above must pre-order to ensure we can fulfill your requirements as popular dishes can be subject to availability. 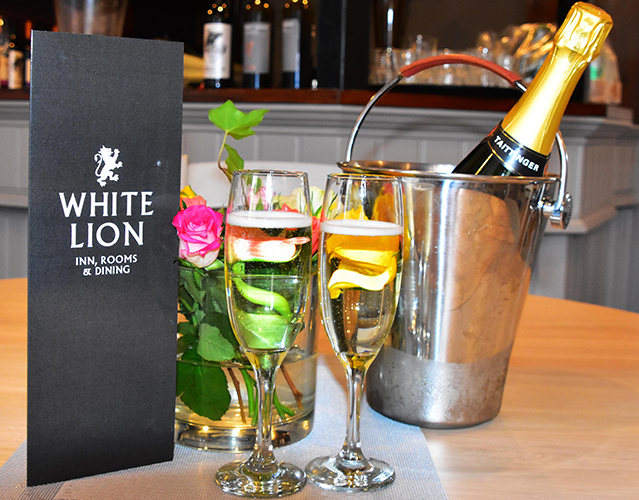 We ask that all patrons, residents and guests are respectful of reservations when enjoying food and drink at The White Lion. Whilst we would never ask a guest to move tables in order to sit down those wishing to dine – reserved tables will be reserved up to an hour before the guests arrival. We will always give guests as much notice as possible but we ask all visitors respect those that have taken the trouble to reserve a table with us and we thank you for your understanding. 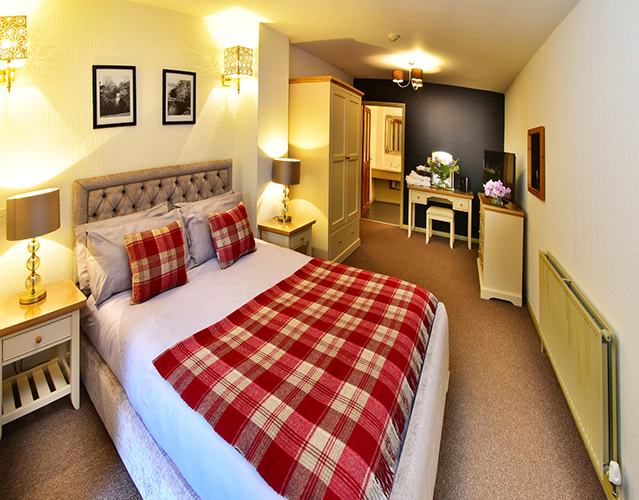 This Boutique Double room offers a Double Bed with a super comfortable mattress. 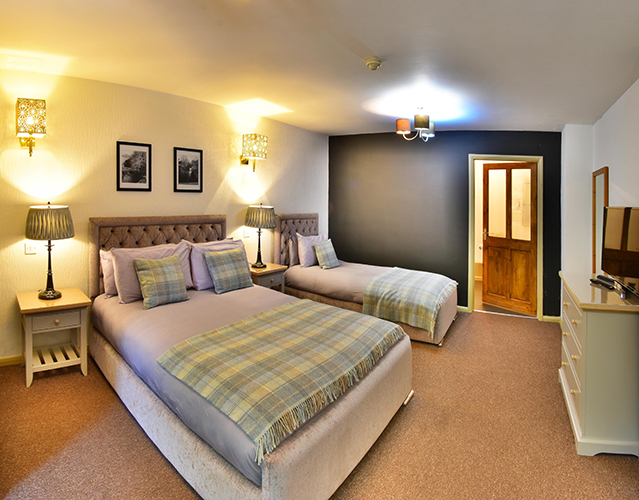 This Superior Boutique Suite room offers a King Size Bed with a super comfortable mattress. 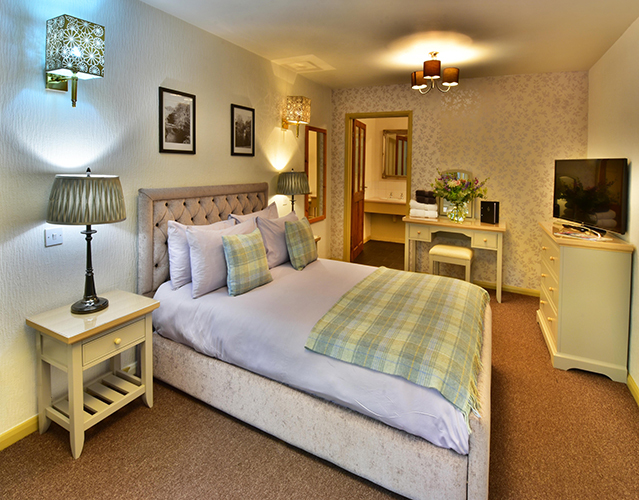 This Boutique Suite room offers a King Size Bed with a super comfortable mattress. 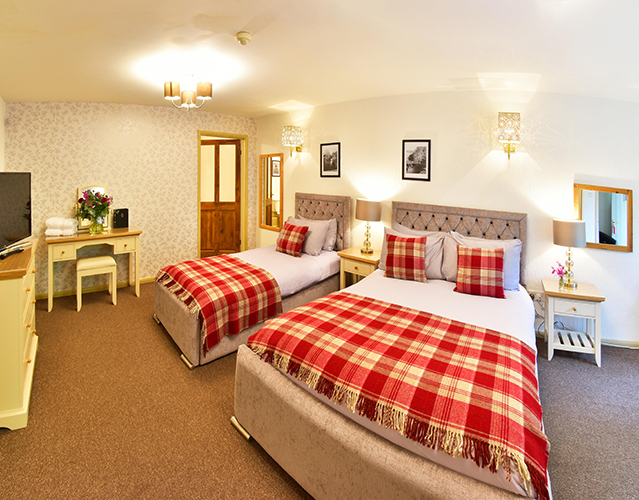 This Boutique Suite room offers a Double Bed with a super comfortable mattress. 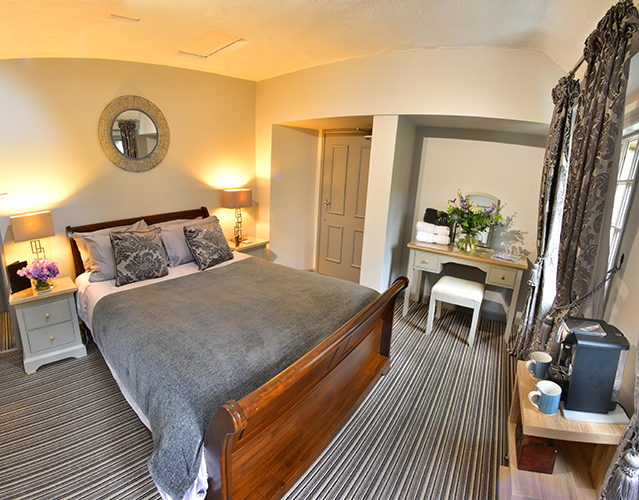 This Courtyard Cottage room offers a Double Bed with a super comfortable mattress. 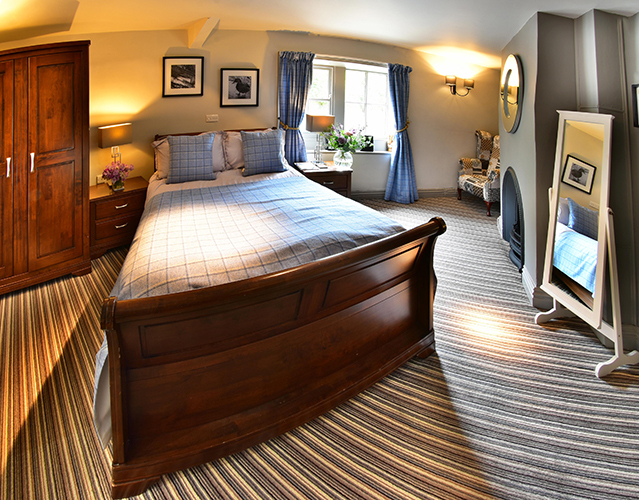 This Courtyard Cottage Twin room offers a Double Bed and a Single Bed both with a super comfortable mattress. Planning your wedding day is one of the most exciting things that you will ever do, and the anticipation of your wedding day should always be a pleasure. At the White Lion you will receive a more boutique and intimate style of wedding, with a sincere personal touch. In most cases, your Wedding Co-ordinator will be there to assist you throughout the planning, and will also be the host on your special day. Over the years, we have actually made quite a number of friends of the various Brides and Grooms, due to this closer attention to detail. Our team here at the White Lion pride themselves on their friendly and flexible approach, and we remain entirely at your service in order to assist you in any way throughout this most amazing of times. We would be pleased to look after your wedding celebrations and to make it a magical occasion for you and your guests. We have a number of rooms and areas that you can choose to host your function, ranging in capacity from a simple 16 to over 40 persons. Our main function suite, The Old Library, is sited on the first floor of the main 1657 dated building. Equipped with its own bar; the room can comfortably accommodate up to 44 persons for a seated dinner and up to 70 persons for standing events, leaving space for any entertainment. We also have the cosy Snug room in the main building for a more intimate gathering. There is also the private Riverside Courtyard, that in summer makes for a wonderful setting as a drinks reception area or evening option to your day. 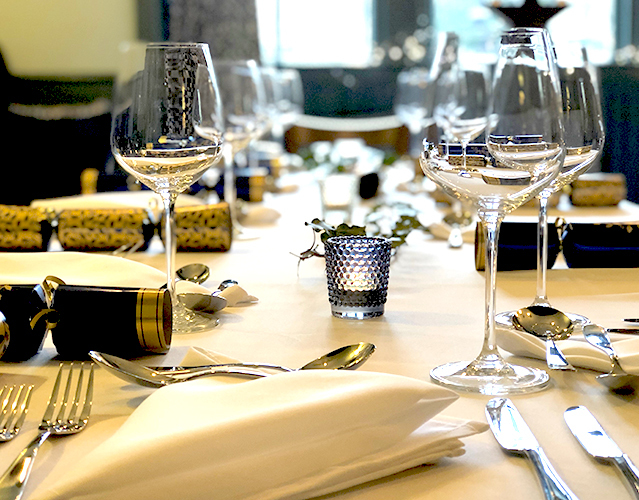 So whether your requirements are for a family gathering, private dining meal, birthday celebration, christening, or funeral, or anything in-between; then we are sure to be able to cater for you.